Autonomous Underwater Vehicles (AUVs) are one of the important types of aircraft, which are traveled in underwater with the help of pre-programmed control method. Nowadays AUV is being proposed for many critical applications including crack detection on the dam, disaster monitoring, naval surveillance, and fisheries protection. Also interest in AUVs for ocean exploration and mapping, surveillance, and forecasting have emerged steadily, in which the AUVs design methodologies are implemented in underwater are mostly multi-rotor configuration AUVs. In underwater applications, multi-rotor based AUVs are low efficient in terms maneuvering achievability, lifetime, therefore, the designer must provide an AUV, which has the high lifetime, high efficient in design, more secure on-flight and low maintenance cost in order to survive at the critical environment. 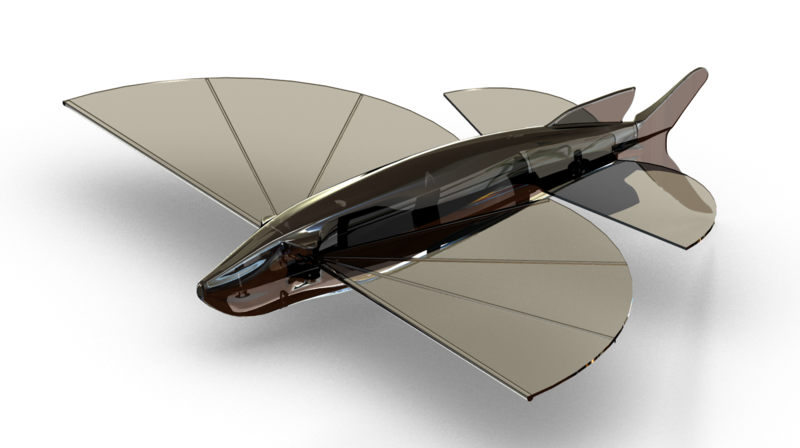 In this article proposed a unique AUV, called Unmanned Aquatic Vehicle (UAV) inspired by the strategy of flying fish as shown in the figure 1, this can able to operate in underwater with high efficiency, in which estimation of efficiency have been derived based on conceptual design, maneuvering attainment process, communication, the lifetime of a UAV. The accurate research on the hydrodynamic effect of UAV, which undergoes inside the water, has a great significance for its maneuverability. Therefore, this study aims to analyze hydrodynamic flow behavior over different geometry configurations of a UAV, in order to obtain optimum geometry that generates lower drag force, which reduces the energy consumption of the vehicle, thereby increasing their autonomy during operation. The design of such a vehicle is challenging because it implies significant propulsive and structural design trade-offs for operation in underwater, in which the challenging to be overcome with the help of advanced engineering analyses such as CFD simulation, strong theoretical formulae, etc. In CFD Simulation, the structured grid of the computational models for different types of UAVs is generated by Ansys ICEM CFD 16.2. 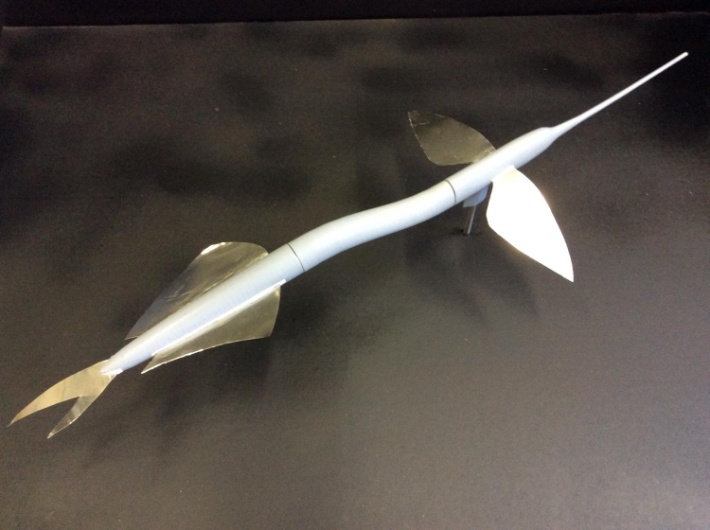 This discretized model represent as a replica of UAV, which is used to predict the flow behavior of the reference component, and investigate the hydrodynamic effects on its sub-components. In this article, ANSYS-FLUENT 16.2 software used as numerical solver tool, which is a powerful tool for solving problems involving fluid mechanics. Results of the velocity, pressure distribution, and drag coefficient are analyzed, and thereby the optimum geometry of UAV is found. This research is being carried out by the student team – TV Praveen Kumar, S Kishor Kumar, K. Thanga Tamil Selvan, R Sankaresh Pandian, E Ashraf and Vijayanandh R, Assistant Professor, Aeronautical Engineering, Kumaraguru College of Technology.